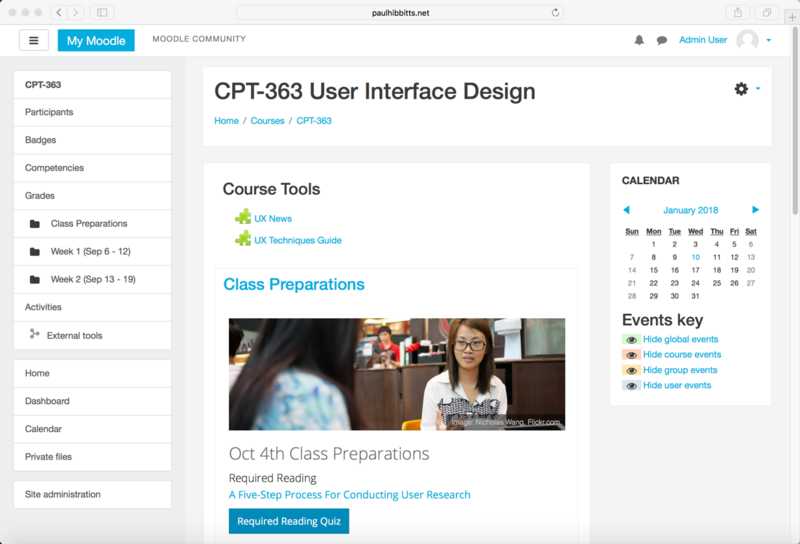 Long on my to-do list was to further explore how Grav Open Course Hub content could be displayed within the popular open source Moodle LMS. Curious about the initial results? You can explore a live demo at paulhibbitts.net/moodle/course/view.php?id=2 and view some draft docs at learn.hibbittsdesign.org/coursehub/integrating-grav-with-moodle. Figure 1. Grav Course Hub content within Moodle. Why use Canvas for Assessments with Grav CMS for (Open) Content? A safe place for student assignments and data, and where most of our students are! For tech-savvy educators a modern and flexible platform under their full control! A collection of videos demonstrating how Grav with Git Sync can bring an efficient and flexible Markdown content workflow into Canvas LMS (or any other system supporting embeddable Web pages).